Gitte Jungersen (Personal show 2015). The current show brings together Flemish Yves Malfliet (1962) with Danish artist Gitte Jungersen (1967). 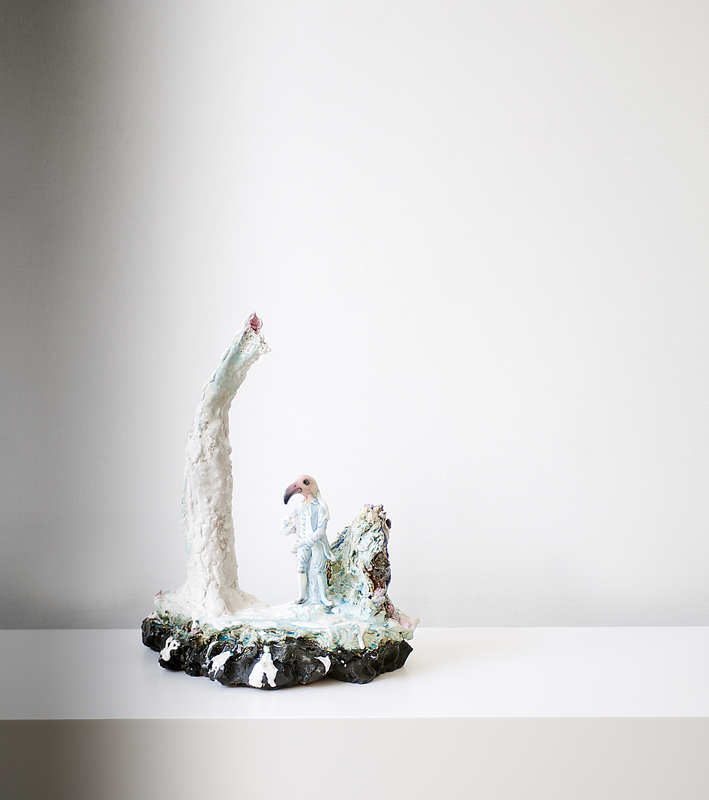 Malfliet is as much a conceptual ceramicist and sculptor as a provocateur; a prankster and a tragic poet who uses ceramics to express these qualities. 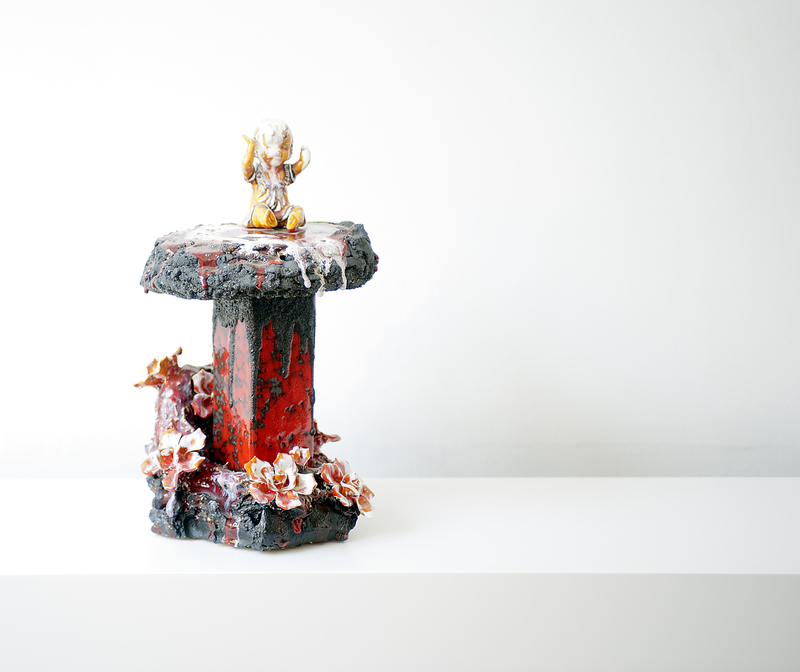 His work consists of reconstituted decorative items, often mass produced ceramic kitsch and religious artifacts which are reassembled by adding traditional clay and glaze. 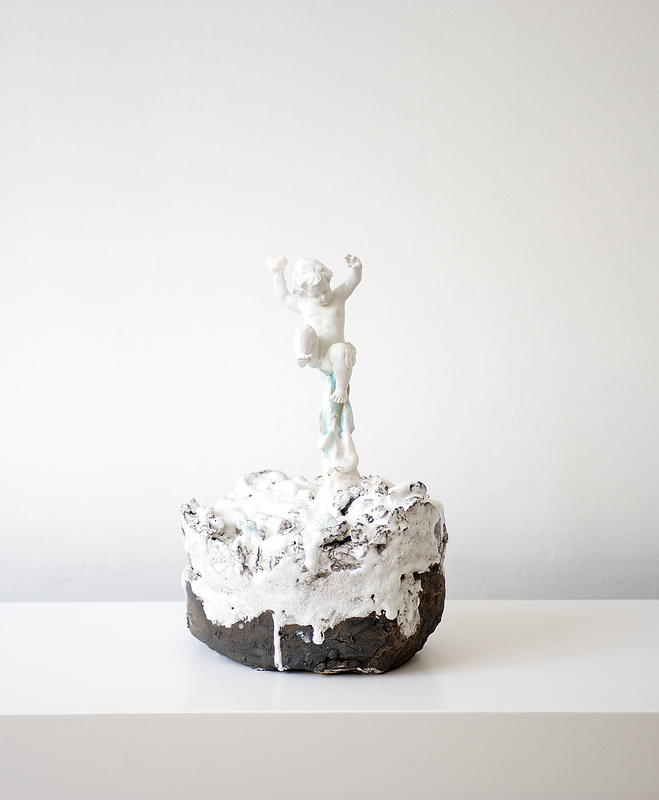 This results in satirical ceramic sculptures al la Maurizio Cattelan that resonate with the theatrical power of Guy Joosten’s operas. Gitte Jungersen’s work is pure alchemy which springs from her unrelenting curiosity and the search for a balance between control and chaos which she says is a metaphor for life itself. Jungersen keeps searching for the essence of ceramics and question the dogmas related to it. It is not sculpture. It is not painting. And it is not necessarily related to earth and the natural. Freed from their traditional ‘container’ the objects displayed at PULS are the dripping and colorful results of a search for what is possible when you reach the end of control and let gravity and firing take over. Each single object in her latest series offers a comment in the discourse on what it fundamentally means to make ceramic art.